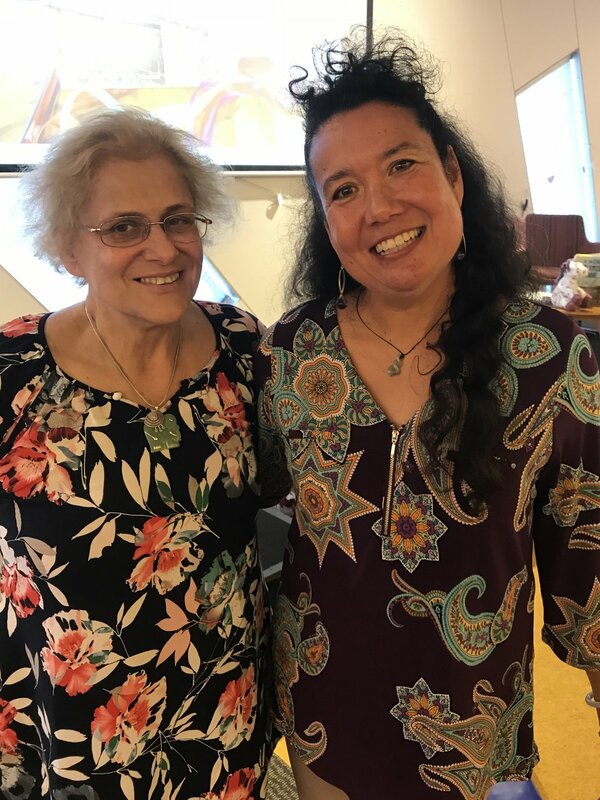 It has been twelve months since I booked and planned to attend the highly successful Narrate Illustrate Meditate SCBWI Author and Illustrator Retreat held mid October, 2017 near Wilton, NSW. And I am now able to officially announce I have a contract thanks to that opportunity! So how did this publishing offer come about thanks to this retreat? The retreat was designed so authors and illustrators could come together, develop a piece of work, and learn from and listen to industry experts and each other. This sounded like a great plan, so I booked it. I don’t apply for most writing retreats - you know, the ones where you get free accommodation and meals for a week while you write uninterrupted with a mentor on tap. My kids are still quite young, and honesty, I don’t want to leave them that long anyway. This retreat was nice and short so I could sneak away for a few days, fairly guilt free, and ponder a few writerly things. After I’d passed through Sydney from Newcastle as school came out (huge mistake! ), I got a little lost. Maybe this was due to having the navigation on in the car as well as the phone. Who does that? Two voices were coming through my bluetooth saying different things! As I was sitting in peak hour traffic trying to work out which one to believe, I realised I had no idea who would be attending. But my manuscript was packed and I was ready to resuscitate it - once I got there. After arriving, I calmed down quickly as I said hello to lots of familiar faces. I knew half of the attendees in the end. And I had the best roomie - Deb Abela! Then I was like a sponge, gathering hints and tips from anyone who shared them. Zoe Walton (Penguin Random House), Nancy Conescu (Walker Books Australia), author Tania McCartney, and illustrator Bruce Whatley gave out plenty of golden nuggets over the weekend. Bruce was a highlight, showing us inside his newly released book, Ruben. What a clever man! I also had a manuscript critique with Zoe. She was so lovely and encouraging! Our half hour chat in the gardens was another highlight. While this learning was happening, the main focus of the retreat was to develop a writing/illustration project in a supportive and professional environment. Peer critique sessions were regularly planned throughout the 3-day retreat to keep everyone on track. I had multiple copies of my manuscript ready to go. On day 1 we were put into our critique group for the weekend. I didn’t know any of my group but meeting them was highlight number three. Thanks Nicole, Reena, Victoria, Lynne, and Meiling! At the conclusion of the retreat, most of us decided to stay as a group and become an offical SCBWI online critique group. We are still working hard and critiquing each other 12 months on. During the first critique session we read our manuscripts. I knew my manuscript had a concept that was attractive - four publishers had confirmed that - but I couldn’t get the story right. Maybe these five sets of fresh eyes was what my manuscript needed. I devoured all their suggestions and then I let them rumble around in my head for the rest of the retreat. I remember having an ‘a-ha’ moment on the last day during the last critique session. My manuscript took it’s first new breath. I was now ready to do a major rewrite once I returned to my familiar studio. I’m not good at writing when it’s scheduled into a program. I didn’t want to sabotage my submission to a publisher by rushing my rewrite out the door, so I paid Sue Whiting to assess it. She did a wonderful job of pulling it apart and asking me lots of questions about what was driving my main character and what was the core of the story. She gave me all the scaffolding I needed to dive into yet another rewrite. Isla’s Family Tree will be illustrated by Prue Pittock (www.pruepittockillustrations.com) and published by EK Books (www.ekbooks.org) in 2020. This will be my fifth published picture book, my third with EK Books, and my first with Prue. Yay! There’s always hope - especially if you grab every opportunity that passes your way with both hands. My first file for this manuscript is dated 28.02.14. I signed my contract 13.08.18. Four and a half years later my story has found a home. We won’t see it until May, 2020, but the six year wait will be worth it. There’ll be a huge party, so save the date! Thanks to the SCBWI Aus East/NZ committee for giving it’s members such wonderful opportunities to grow and succeed. I look forward to seeing lots of members at the SCBWI Conference in Sydney next year. I always set conference goals, and my major one for SCBWI Sydney 2016 was to take advantage of the opportunity to pitch my manuscript idea, Beyond Belief, to a publisher panel. I was hoping to get interest in my story to help me with a VicArts funding application I was about to submit. I was desperate to spend a month in Paris researching a true story I had discovered about Muslims at a Paris mosque who saved Jewish children during WW2. I had spent all my money on a research trip to Europe in 2015, and it would be years before I could save for another. But this story had to be told, and I needed to visit the mosque to do it. Pitching a story idea that had very personal connections for me was terrifying, but if I could get that grant, it would be worth the angst. All the publishers on the panel were so encouraging, and Clare Halifax from Scholastic generously wrote a letter to support my funding application. Thanks to my pitch at the SCBWI conference, and Clare's belief in my story, I was successful in getting the money for my trip and in April 2017 I spent an amazing month at the mosque, in synagogues, at a wine market (all in the name of research) and exploring the Paris sewers. Being able to immerse myself in the world of my story has added a new layer of richness to it. It has been an amazing journey. I have uncovered secrets, spoken to Holocaust survivors, drunk mint tea in a beautiful mosque, and sat in the oldest synagogue in Paris. Thanks to this opportunity at SCBWI Sydney 2016, Beyond Belief will be published by Scholastic Australia next year. We love celebrating success stories of our members that have happened because of their involvement with our wonderful community. Please find our latest story below. 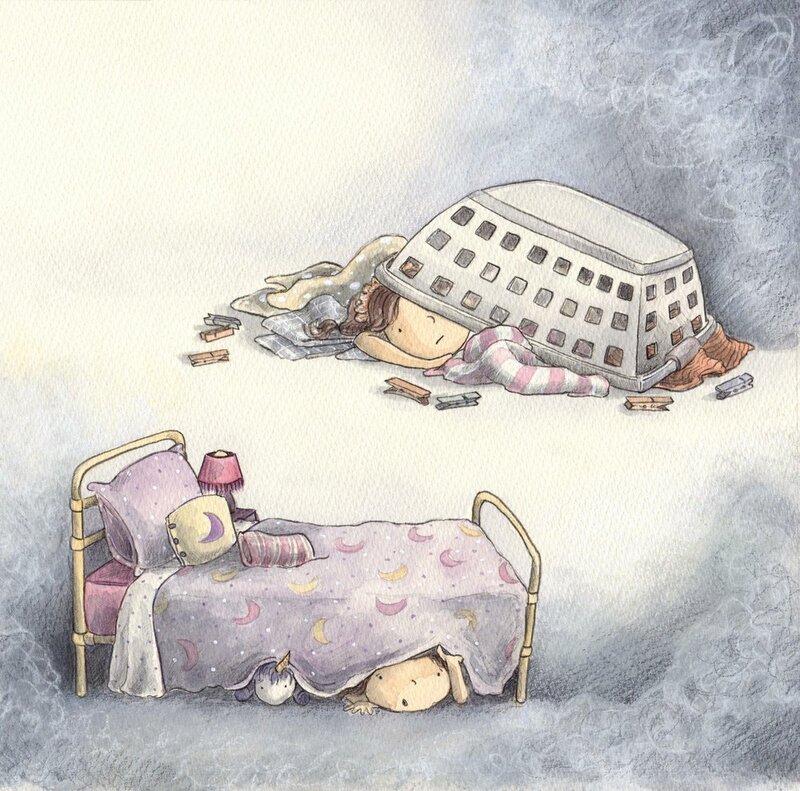 From the moment, Deirdre Hanna, founder of Paradise Kids, insisted I write a picture book about domestic violence, I recoiled with consternation. No one else had attempted this seemingly insurmountable task in mainstream children’s literature before. It was deemed a subject too niche, and too taboo for kids let alone the mainstream picture book market. Nevertheless, Deirdre threw me a bone that day and by the time I’d driven home, I had a story I now wanted to tell. Flick, my main character’s tale became my challenge, my tormentor and eventually one of my ultimate favourites. It was not an easy subject to research or express in ways I hoped did justice to my audience and the community of sufferers, yet the story’s evolution was a joy to experience. It was a story I did not initially share. I nursed drafts like fragile secrets until I was certain of their authenticity and viability. After all, there had to be a reason why mainstream authors were not attempting books like this for traditional publication (here in Australia). Flick’s original story elicited good intentions from nearly all of the mainstream publishing houses I submitted it to, including my own at the time, EK Books. However, none was willing to embrace her story and share it with the world; it was just too real, too raw. It made some cry. From these reactions however, I noticed a common thread, the need to increase the marketability of this story in a way that would not diminish its integrity. 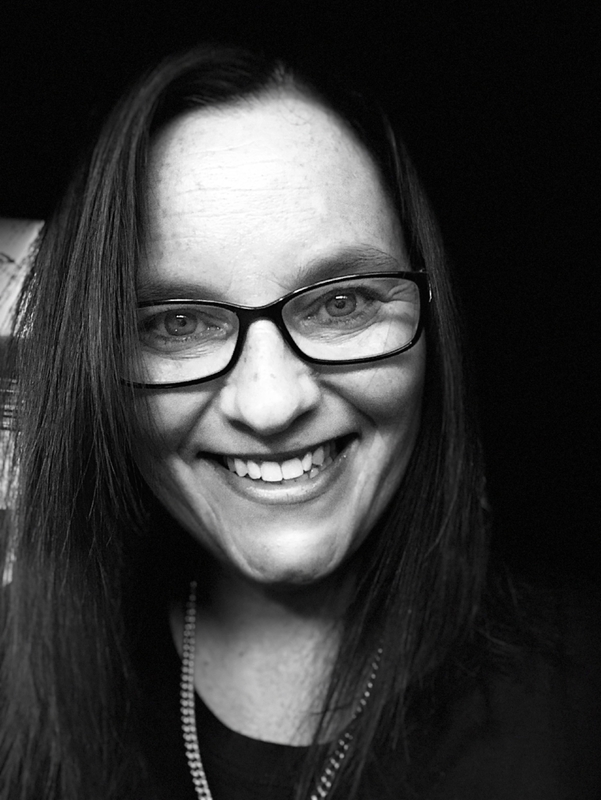 It was around this time of impasse that I confided in Susanne Gervay, Regional Adviser of SCBWI Australia East and NZ, confessing my combined frustrations and determination. 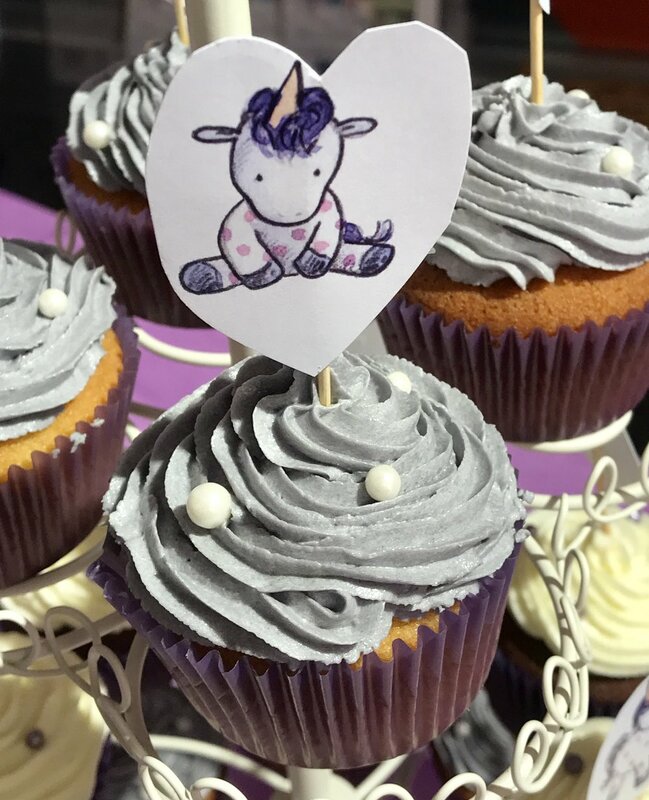 As ever, she not only supported my intentions but also nurtured my flagging creative spirit, making me realise that just because something had never been done before does not mean it never can be. 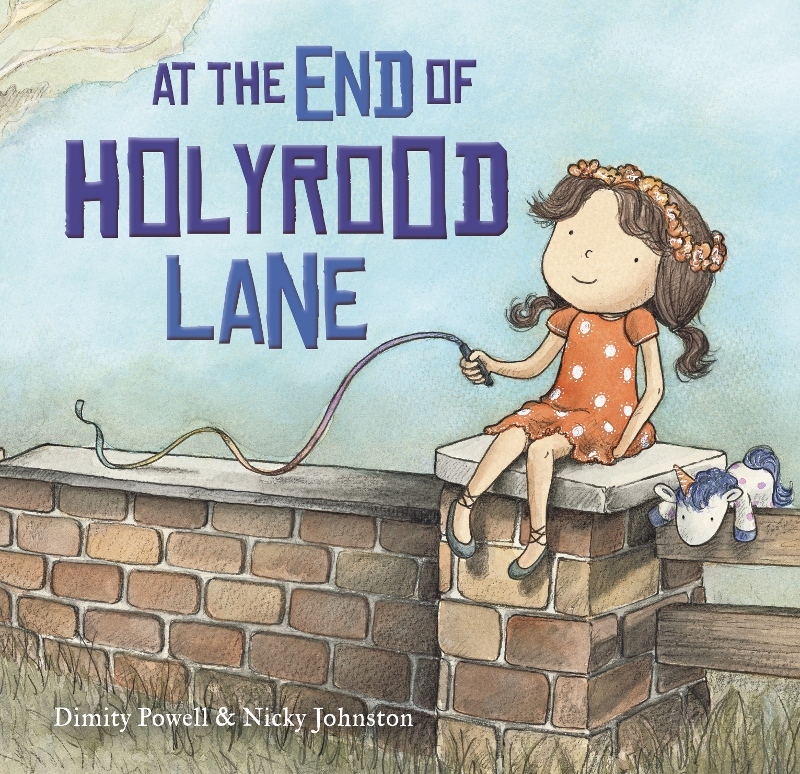 I set to task and finally, with the support of fellow SCBWI member and my erstwhile critique buddy, Candice Lemon-Scott, six rewrites and several months later, At The End of Holyrood Lane was complete. This time there was no hesitation. EK Books practically threw a contract at me. 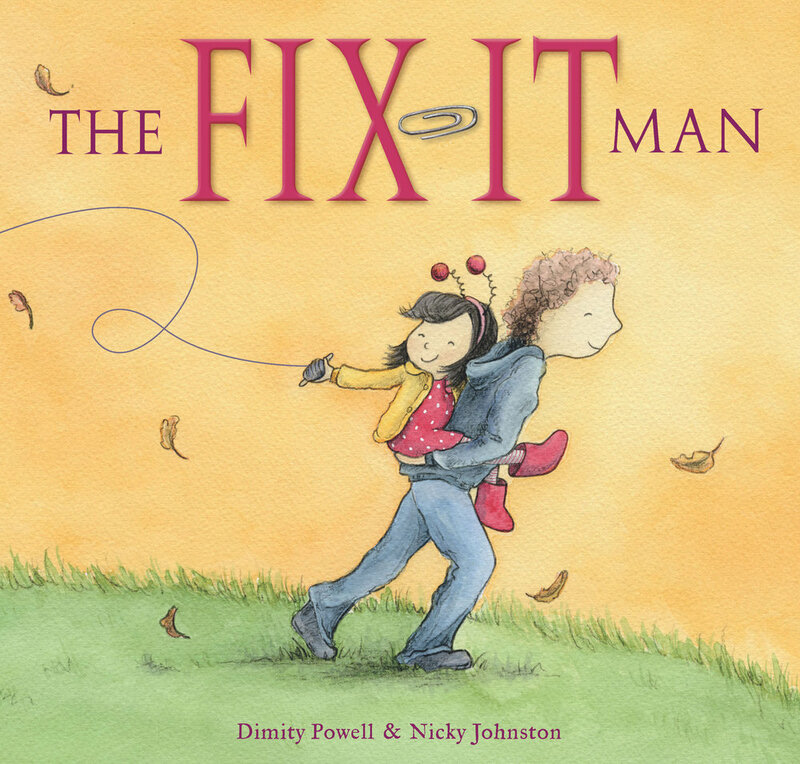 The news came literally on the eve of the 2016 SCBWI Biennial Sydney Conference, which I attended along with EK publisher, Anouska Jones and Nicky Johnston, the illustrator who helped make my first picture book, The Fix-It Man so very special. Notably, it was the first time we’d ever been together in the same room. What followed were some very emotionally electric moments as Nicky shared her initial roughs and mood sketches with Anouska and I. Contracts had not even been signed yet but we were all already swooning over this picture book and the concepts yet to fully unfold. The news was still embargoed but there was one person I just had to tell. ‘Ground-breaking’ were the words Susanne used when I told her about my new contract and Flick’s chance to share her story with the world. Without Susanne’s quiet (occasionally loud! 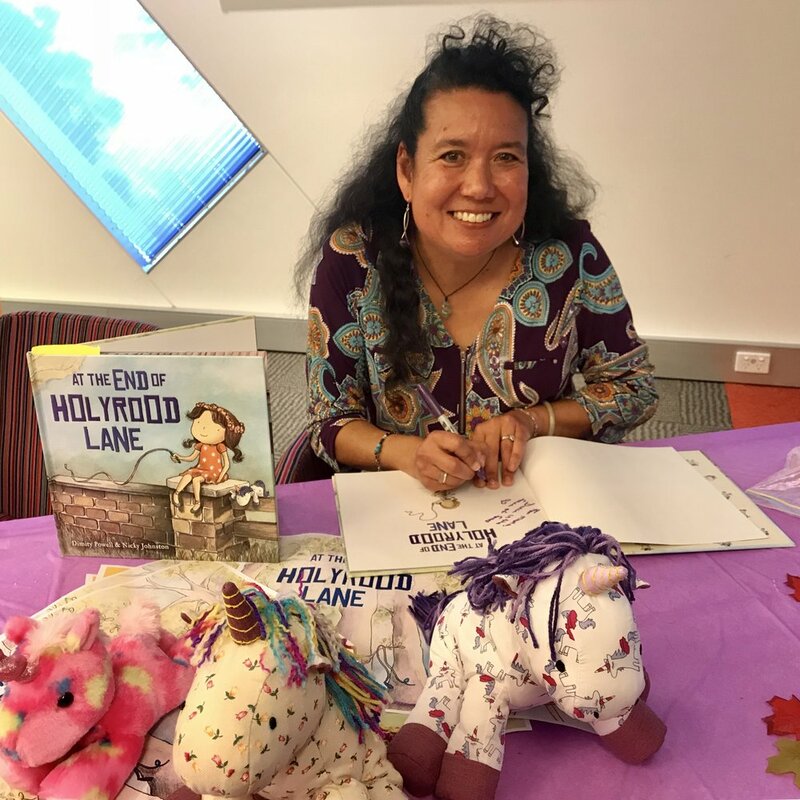 ), ever persistent blessings and the feeling of belonging to something greater than just my own doubts and thoughts – the encompassing SCBWI community – I really could not have mustered the confidence to not only pursue my publication dreams, but to tackle harder content picture book writing. At The End of Holyrood Lane entered the world in September 2018. It seemed only fitting that Susanne should launch this book for me, which she did, travelling to Brisbane to do so. I am forever grateful and humbled by her support and friendship, which reflect the SCBWI ethos to the nth degree. Thank you to Maria Parenti-Baldey and June Perkins for pics of the launch, which was a moving and wonderful success. 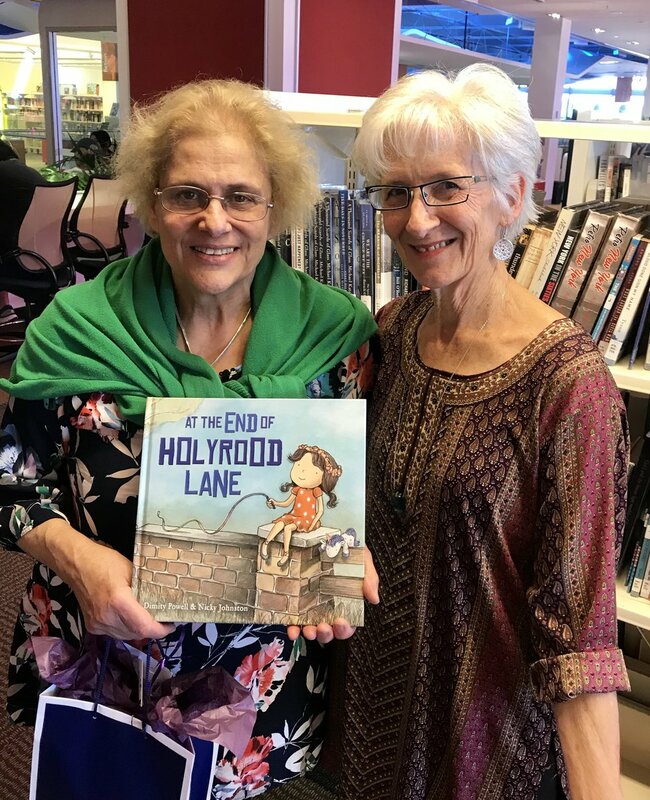 At the End of Holyrood Lane is poignant yet uplifting picture book that deals with domestic violence in a way that provides understanding and offers hope to young children. Its appeal extends far beyond the subject of domestic violence, as brutally significant as that is, because this tale is relevant to any child who experiences anxiety, insecurity and the feeling of being unsafe.